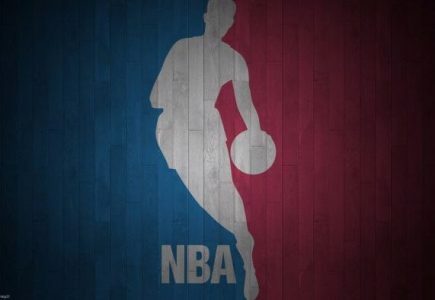 Underdogs barked loudly in the NBA last week, and especially at +2.5 (or higher), where they cashed 33 of 45 games! For the season, though, the split between underdogs and favorites has been right down the middle, with dogs showing a scant 357-350-10 ATS edge. Let's look at the upcoming week to try to find some profitable situations. The Washington Wizards are 9-0 ATS their last nine, and 21-6 ATS their last 27 ball games! They’ve also won their last four games by double-digits. Their latest victim: the New Orleans Pelicans, who came into the game off a 119-103 rout of the San Antonio Spurs. This week, the Wizards will be back home at the Verizon Center for three games — against the Knicks, Lakers and Pelicans — before finishing up their 4-game home stand with a tilt against LeBron James’ Cavs next Monday. One reason for Washington’s resurgence after a 7-13 SU/ATS start is the play of Markieff Morris. He had 21 points and eight rebounds vs. the Pelicans, and has had four double-doubles over Washington’s last 15 games (compared to just one in its first 32 games). Washington’s also topped 100 points in their last 14 games, and will be worth a look on Tuesday vs. the Knicks. The Wizards are 9-3 ATS their last 12 vs. the Knicks. Additionally, since 1990, NBA teams are 162-113 ATS off 3 SU/ATS double-digit wins in which they scored 105+ points, if they’re not favored by more than 11 points. And if they’re at home vs. an opponent off a SU loss, then our 162-113 stat zooms to 30-14 ATS. The Wizards should stretch their ATS win streak to 10 games. For all of LeBron James’ belly-aching about his team not having a third playmaker (after himself and Kyrie Irving), the real problem for the Cavaliers has been their defense. Until Sunday’s 107-91 win vs. Oklahoma City, Cleveland had allowed 12 straight opponents to reach 100 points. Not surprisingly, the Cavs had played five straight ‘overs’ (and eight of 12 ‘over’) in those games. In contrast, when Cleveland played its best basketball of the season (Dec. 5 through Dec. 25), it went 10-1 primarily because it defended extremely well, and allowed just six opponents in that stretch to reach 100 points. This week, Cleveland will have games against three bottom-feeders (Dallas, Minnesota, New York). If the Cavaliers decide to bring the effort and energy they showed Sunday vs. the Thunder, then all three games could sail ‘under’ the total. The game at New York on Saturday has all the earmarks of a low-scoring affair, as these two teams have gone ‘under’ in eight of the last nine meetings. The injury bug has bit the Los Angeles Lakers once again. Starting point guard D’Angelo Russell has missed the last three games (all losses) with a sprained MCL in his right knee and a strained right calf muscle, and should be out at least another week. Meanwhile, Julius Randle is also now on the shelf with pneumonia. The Lakers are 1-5 this season without Randle in the lineup, so his absence bears watching. This week, the Lakers will host the Denver Nuggets, who are suffering their own spate of injuries (Emmanuel Mudiay; Nikola Jokic), before hitting the road to play the red-hot Celtics and Wizards. I actually like the Lakers vs. the Nuggets, and especially if Jokic doesn’t play (Mudiay has already been ruled out). This month, Jokic has taken a great leap forward, as he’s averaging All-Star-caliber numbers (23.9 points, 11.1 rebounds, 4.9 assists, 1.4 blocks and 1.1 steals). The Lakers lost the first meeting vs. the Nuggets two weeks ago, 127-121, but NBA revenge-minded teams off 3+ losses are 38-18 ATS this season. With their win at Portland on Sunday, the Golden State Warriors moved their record to 41-7 this season (23-24-1 ATS). And they’re now 181-31 (115-92-5 ATS) in the regular season since Steve Kerr was hired as coach. Golden State is currently on a 7-2 ATS run, and by far its best pointspread role is at home vs. foes off a straight-up win. The Warriors are an eye-popping 47-1 straight-up and 37-10-1 ATS in this situation the past three seasons! Even in the Playoffs, there’s not much of a drop-off, as Kerr’s men are 10-2 SU and 8-4 ATS at home vs. foes off a win. This week, the Warriors will host the Charlotte Hornets on Wednesday — one day after the Hornets play the Trail Blazers in Portland. If Charlotte bests the Blazers on Tuesday, then I would look for the Warriors to take care of business at home the next night. Good luck, as always…Al McMordie. And don’t miss any of my Hoops, Hockey and Football Winners here at ProfessionalSportsPicks.com. On Sunday, of course, is the Super Bowl, and I’m now 84-51 my last 135 Football releases after sweeping the board with a 2-0 Ticket in the Conference Championship round. Don’t miss my big 10* Super Bowl play, as it’s backed by a 100%, 13-0 ATS System. Or, better yet, join for a week or month today to get all of my award-winning plays.